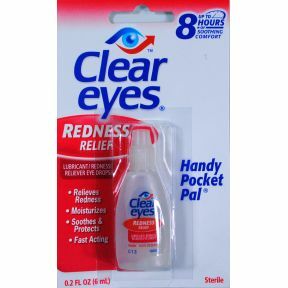 0.2 fl oz travel size redness relief lubricant eye drops in plastic bottle. Relieves redness. Moisturizes. Soothes and protects. Fast acting. Handy Pocket Pal. Up to 8 hours of soothing comfort.